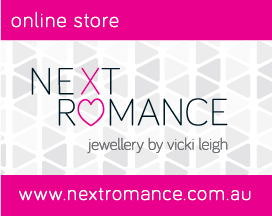 NEXT ROMANCE by Vicki Leigh Jewellery promises playful and creative jewellery pieces sure to brighten your winter wardrobe. All of my pieces are handmade with love and hope to bring you a smile every time you wear them. Contemporary modern handmade jewellery - Made in Melbourne, Australia. 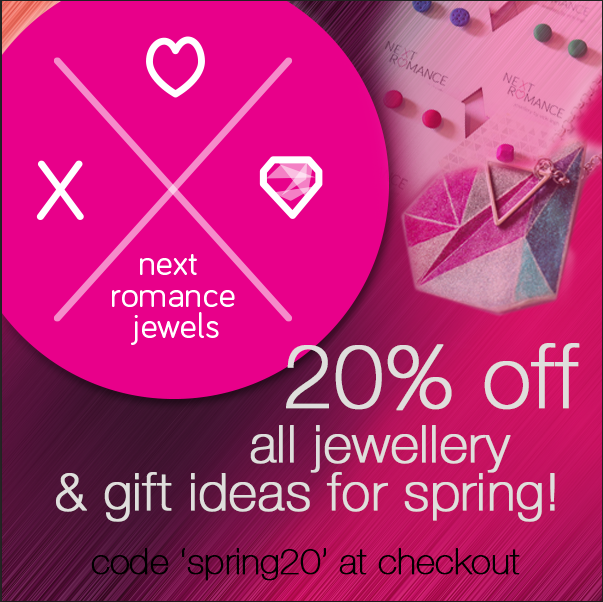 Just to make spring a little sweeter we are offering 20% discount for everything on the website. Grab a few little gifts and a fab piece for yourself from the NEXT ROMANCE JEWELS collection. until the 8th NOV 2014... 20% is automatically taken off total amount... spend $60 and receive FREE SHIPPING TOO!!!! © all rights reserved vicki leigh jewellery designs - NEXT ROMANCE handcrafted jewels. Simple theme. Theme images by merrymoonmary. Powered by Blogger.